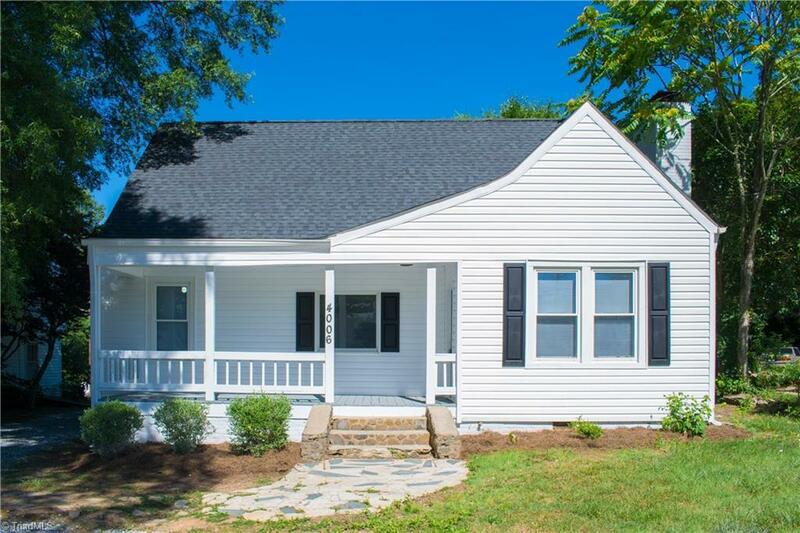 4006 S Main Street, Winston Salem, NC.| MLS# 893623 | North Carolina Farm and Vineyard Specialist Patria Properties Inc. COMPLETELY RENOVATED! New floors, windows, roof, vinyl siding, stainless steel appliances and more! Minutes from downtown, conveniently located close to Hwy 52 & I-40, shopping, restaurants, and schools! This home has beautiful 8.5-foot ceilings, main level laundry and a gorgeous private master suite fully equipped with his and her closets, recessed lighting, and a spacious master bath. Perfect deck and backyard for those summer cookouts and entertaining friends and family! Seller financing negotiable.